The post Doshi Audio Phono Stage V3.0 - The Curious Incident of the Phono Stage and the Listener appeared first on Positive Feedback. 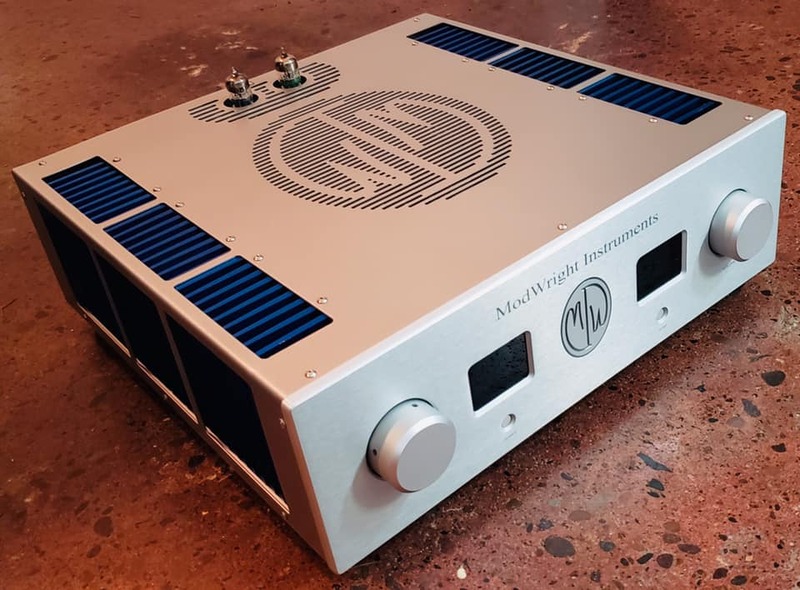 The post Benchmark Media Systems LA4 Line Amplifier appeared first on Positive Feedback. Z:Axis Audio writes: "For many years I tried several mains power devices, from ‘conditioners’ that did little for the music (except kill it! 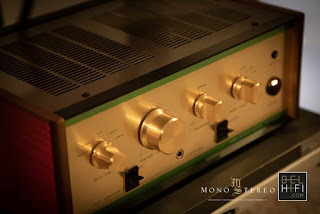 ), to expensive market leading regenerators that did something, but not really enough to drastically improve sound quality without any doubt left over whether the improvements were genuine, and certainly not enough to be able to connect a power amp or two to! 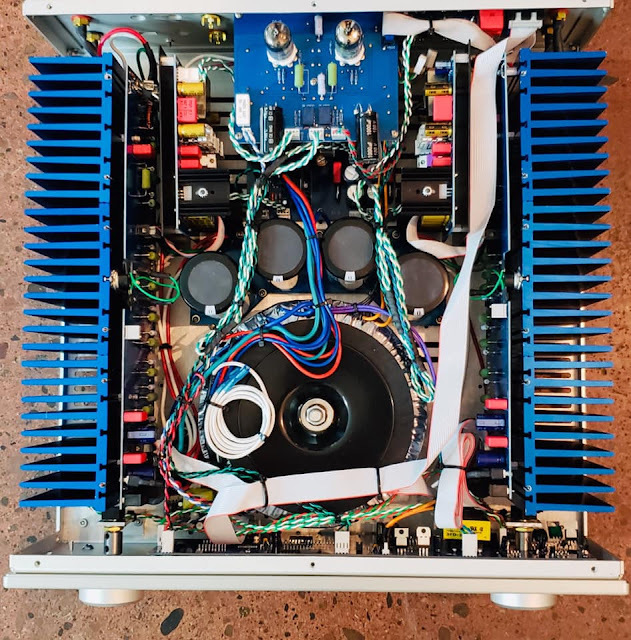 So, I set about designing and prototyping a unit early 2017 for my own personal home audio system and had a complete unit built within 5 months, when audio testing could begin. 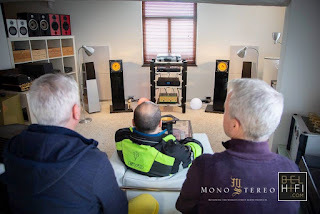 Test results were better than expected, actually quite a lot better, enough to justify progressing the design for small scale production, with the first 5 unit’s delivered towards the end of 2017 to their owners who had home trialled a demo unit." After installing a SYMETRICA into a system, the first thing that you will notice is that the speakers will disappear, the soundstage expands and comes from a vivid deep space in front of you, portraying a greater sonic landscape, quite a startling change from without the unit in place! 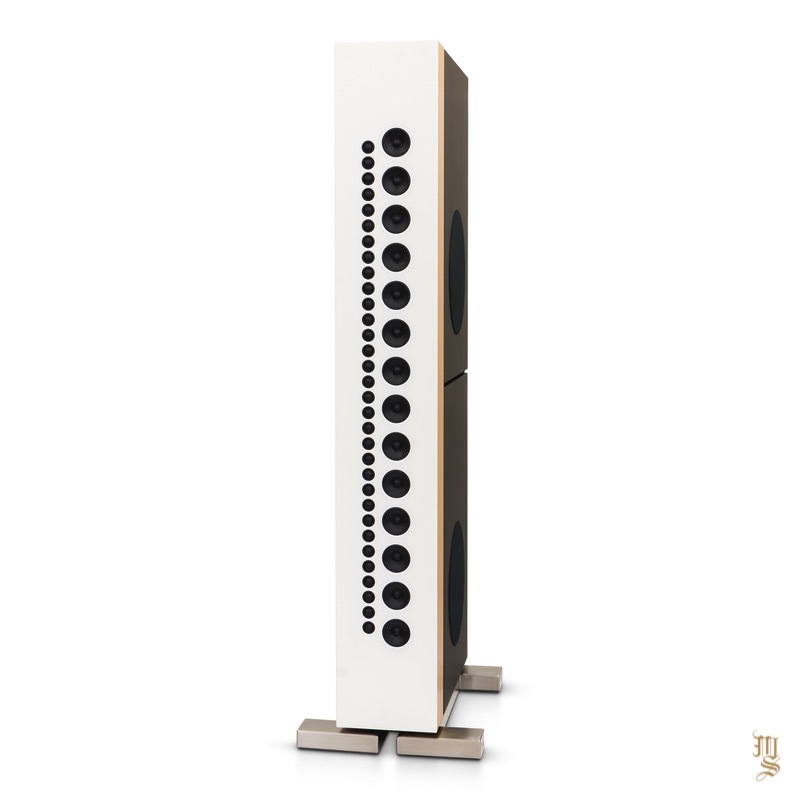 Secondly, you will notice the bass, it is now cleaner, and deeper, with better flow and a richer harmonic structure, and seemingly effortless, truly different to without the unit. The mid range takes on more presence, while the high frequencies extend and become smoother with less etch, far more akin to very good analogue. It quickly becomes apparent that the pre-existing noise floor that was thought to be ‘low’, has disappeared altogether! 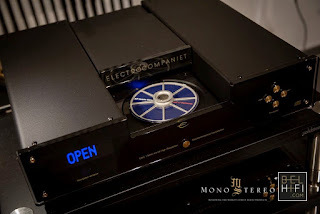 The big discovery though was what the SYMETRICA can do for digital, which is lift the humble redbook CD to the level where it is very close to very very good vinyl, and this was quite a revelation to us all that heard this difference at that time. 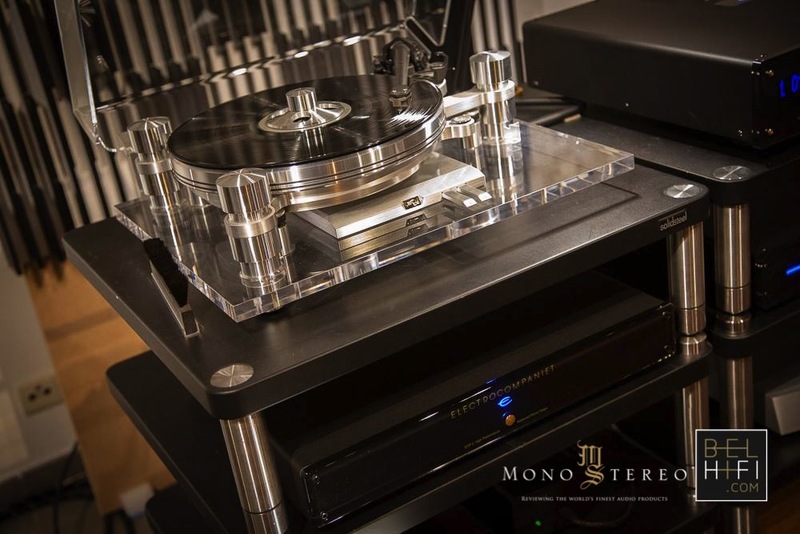 Part of the reason for this is that the SYMETRICA has not one but 3 individual balanced output transformers, custom built to our specification within it’s substantial handbuilt casework. 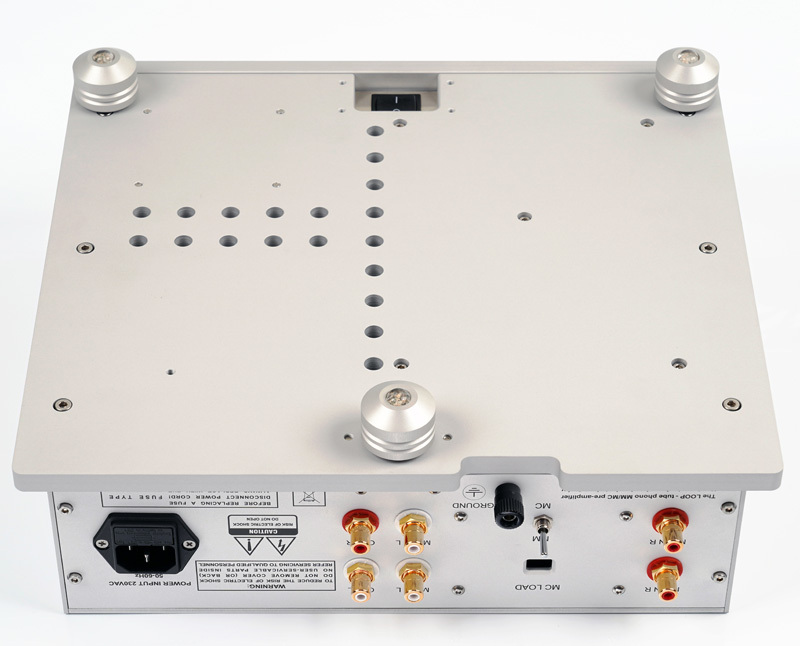 One 300Va transformer can be utilised specifically for digital equipment, ie DAC’s, transports, servers, CD player etc, thus isolating the analog source equipment and amplification from the hash emitted by digital electronics. 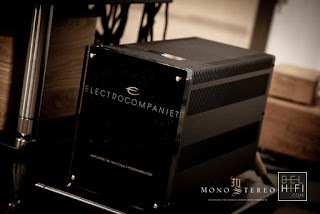 Additionally, a second 300Va transformer is used for powering analogue source components, or, to considerable benefit, a phono stage along with a turntable motor unit for instance. 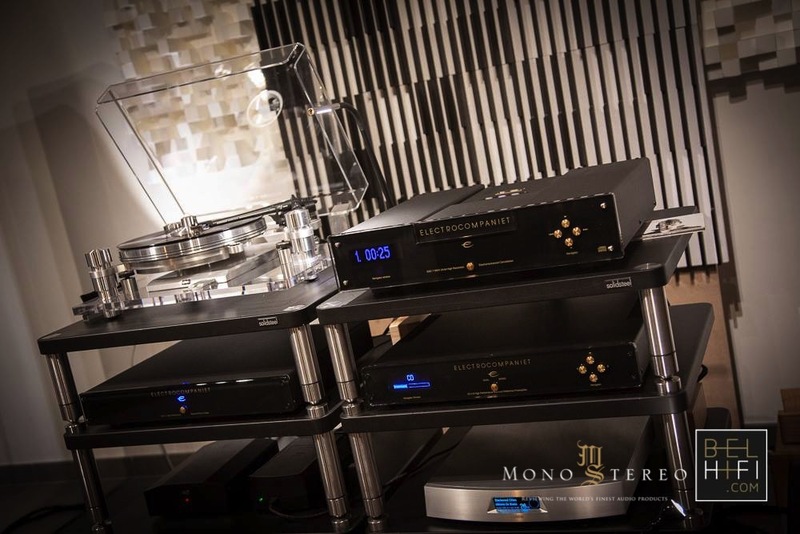 This combination is truly essential to serious music and audio lovers. The third and by far the largest transformer is either 1.5 or 2Kva, and is for amplification devices that require more current. All sections have dedicated current output displays, and a voltage display indicates input and seconday outputs, switchable between the two. These display’s can be switched off from a pushbutton easily accessible on the top panel. 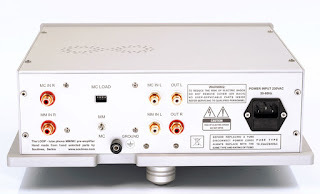 All too often you will hear about connecting power amplifiers to mains supply devices, whether it is good or not, and in our experience with all of the units previously used, none responded positevly to powering amplifiers. With a SYMETRICA you can, and must, connect all amplifiers to benefit from the common single earth connection. 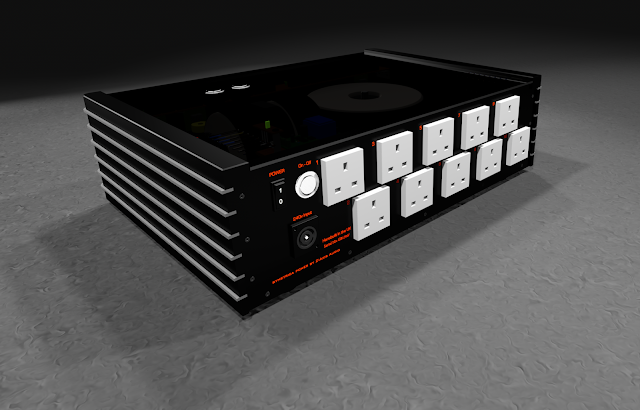 The standard SYMETRICA will provide up to 6.6 amps of continous AC current, and 8.8 amps for the 2Kva model. Most soild state class A/B power amplifiers will only draw around 1.5 -2.5 amps, with big high output valve amps such as a customers class A Convergent Audio Technology JL3 drawing around 4.8 amps, still only using 50% of the available AC current limit before core saturation will occur. Often, large torroidal transformers can hum when the mains supply has any DC offset present, with more and more home appliances producing excessive amounts of this DC due to only ustilising half of the AC waveform. 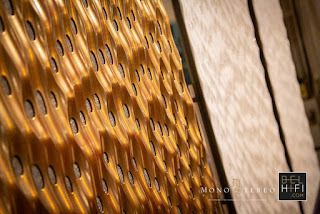 We therefore incorporated a substantial DC filter, using large Vishay capacitors, which effectively block all DC from saturating the transformer cores, leaving them to operate optimally at all times, saving the internal power supplies in the connected equipment from the destructive DC content. 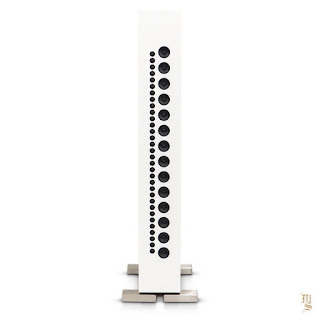 This adds to the ‘effortless’ sound that the Symetrica is becoming known for. On the rear panel are 10 Furutech Gold plated outlets, safety fused on both lines, so this will power a complete system, even current hungry valve mono power amplifiers are working flawlessly via the Symetrica, all maintaing one single common earth connection! Front panel led indicators show that all outputs are working, and will indicate a blown fuse. Mains AC power connection is via a Neutrik 32amp Powercon connection, and Furutech UK mains plug terminated high quality copper mains cable. The Neutrik was chosen over IEC standard due to far better contact and locking mechanism. 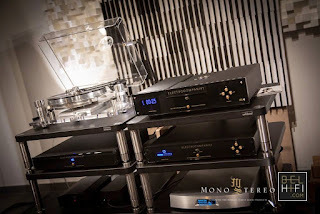 Read more: Z:Axis Audio SYMETRICA! 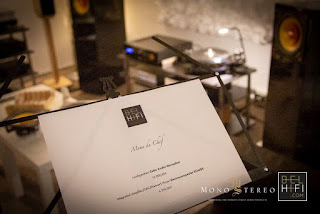 A few photos from BELHiFi's Artnovion/Electrocompaniet/Cube Audio event. 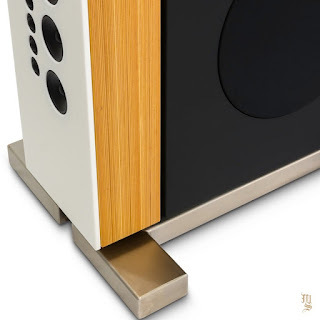 New Magico speakers are coming! Read more: New Magico speakers are coming! 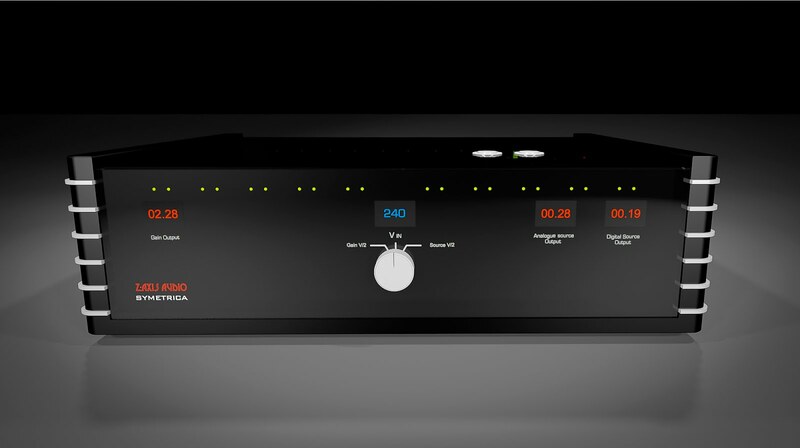 Raidho writes: "We are very proud to introduce the new TD1.2 to the world. This model carries on the legacy of the well-acclaimed C1.2 and D1.1. 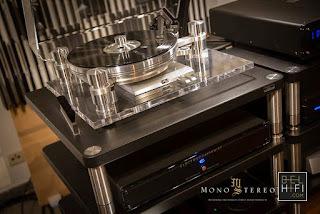 The TD 1.2 takes sound reproduction to a whole new level, that utilizes the fantastic looks from the D-series, but everything inside the enclosure has been changed, using brand new innovative designs and technology." 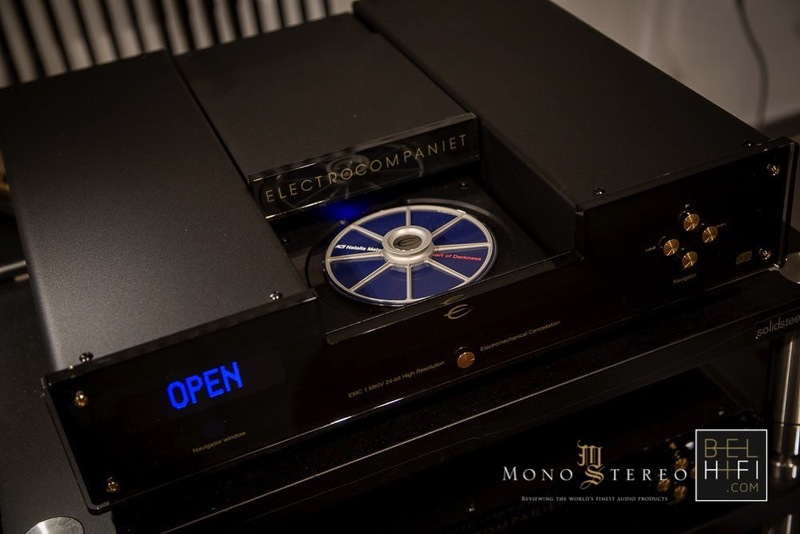 After months of hard work, we are extremely happy to present our new, in-house developed, mid/woofer-driver, with a new and very unique design of both the magnet system but also the rest of the unit. The chassis is designed to have a minimum of influence on the airflow and seek to eliminate reflections occurring inside the enclosure. 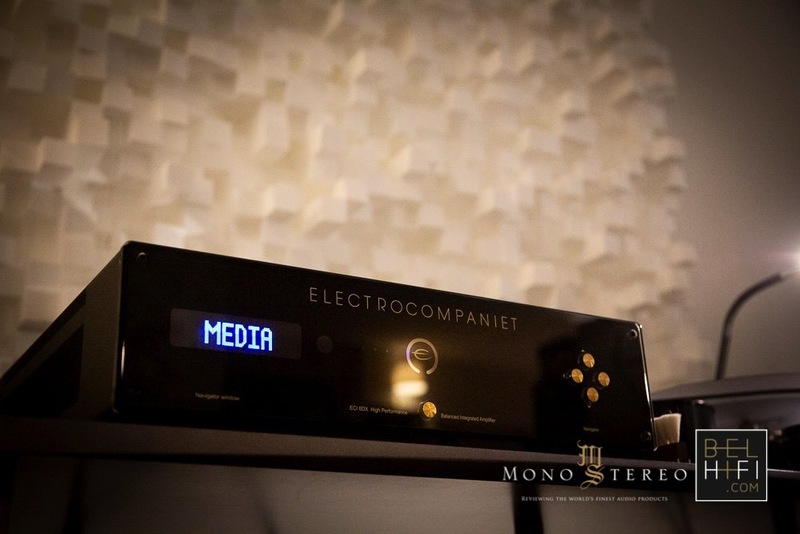 The new design results in a record-low distortion that is audible immediately after pushing play. The TD1.2 uses our new 5-layer tantalum/diamond-cone with increased level of inner damping in combination with our new, proprietary edge-wound titanium voice-coil with drastically improved magnetic field and increased power handling. Combined with the unique driver-design, this is the strongest underhung motor-design on the market (1.1 Tesla/Patent Pending). The result - a drastic increase in dynamic performance. 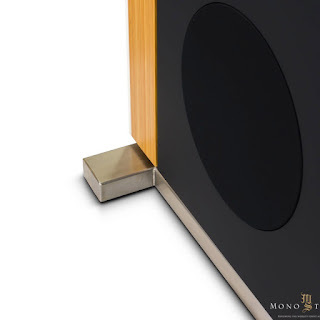 The TD1.2 also incorporates our redesigned ribbon tweeter, used in our TD4.8 and TD4.2, utilizing a more powerful magnet system and optimized acoustic shape of the rear chamber, resulting in a much higher resolution and a distortion level that has been reduced with 35 dB compared to the already extremely low levels in our old ribbon tweeter. The crossover has been completely redesigned with maximum focus on correct phase-response at all frequencies, while maintaining the optimal impulse-response. The new driver-design and the optimized crossover also leaves room for smaller amplifiers since the sensitivity is heavily improved. The TD1.2 is now an easy load for most amplifiers. 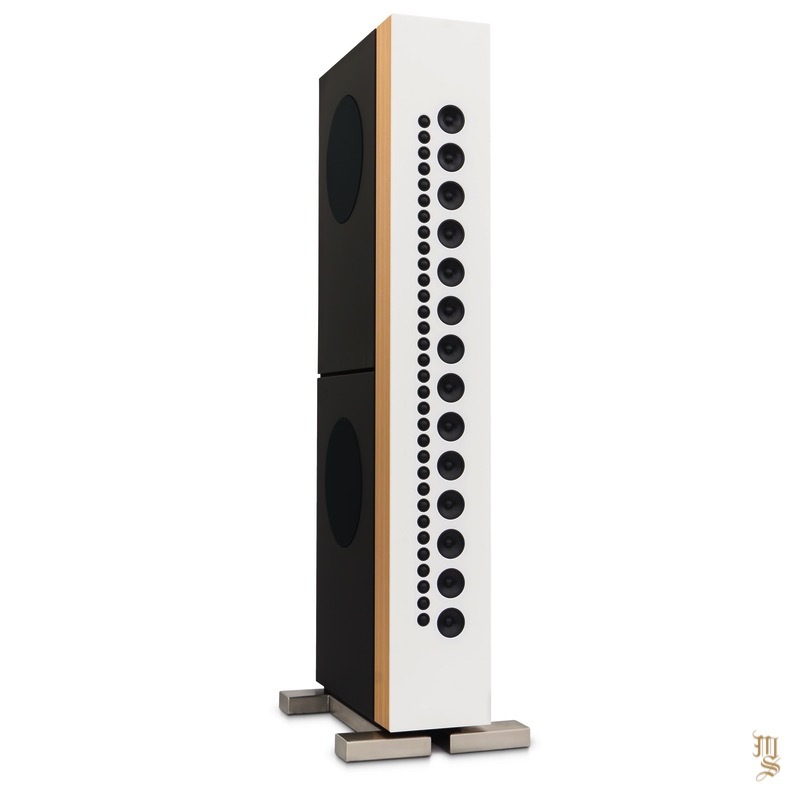 The will deliver a extremely dynamic, natural, and extremely musical performance, while at the same time moving the limits for power handling in a small speaker. The TD1.2 sets a new reference point for speakers - giving a true-to-life dynamic sound with an almost limitless soundstage, allowing the speakers to disappear -leaving you with glorious music! Improving our technology is simply a part of the Raidho-DNA. Designed and built in Denmark. - Glossy black – 20.500,00 eur. - Walnut burl or any custom color – 22.900,00 eur. 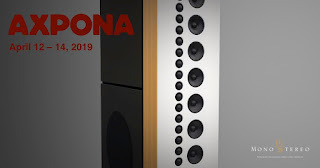 Credo writes: "Our latest loudspeaker model (Cinema LTM) will be presented for the first time at Axpona 2019. Together with Van den Hul, VPI Industries, EMM Labs, Kimber Kabel and FalkenOhr we show a system of superlatives in a large listening room (Nirvana B). The European premiere of this new loudspeaker will take place in May at the high-end in Munich. (further information will follow)." 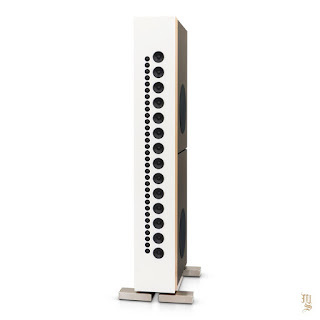 LTM - behind such a designation for a loudspeaker one expects mostly some technical terms, creative creations of the marketing department. Not in this case. LTM stands for "La Tour Maubourg". 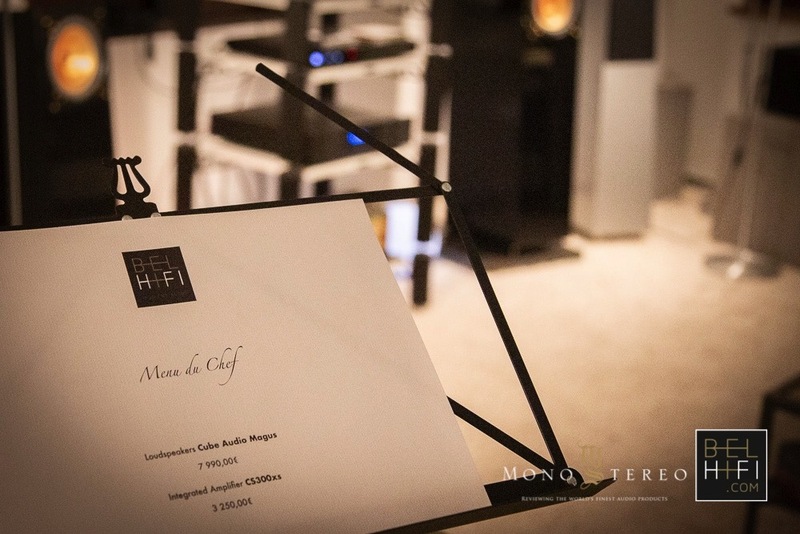 This was the project name for a very special job that we were allowed to carry out in Paris. 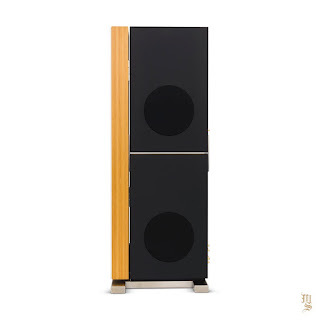 For a gigantic audio system that meets the highest sound requirements, it was necessary to develop and build loudspeaker systems that can be described as uncompromising in every aspect. 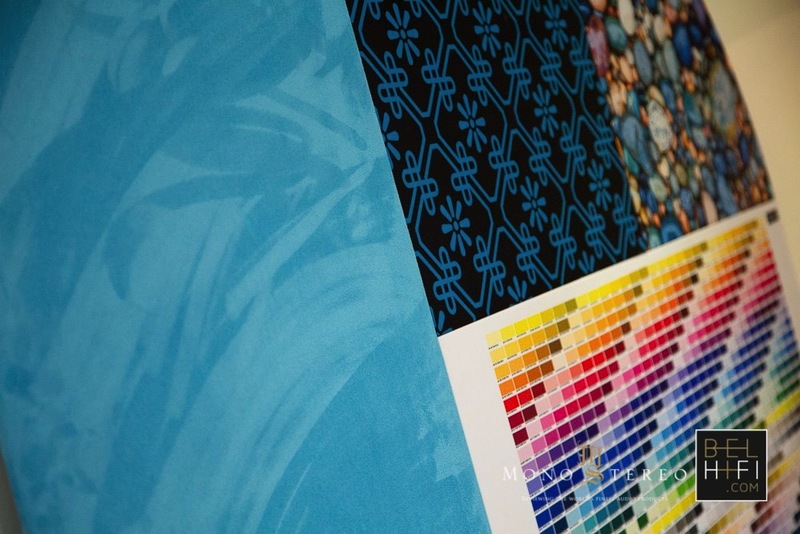 Over a period of two and a half years, the process of development and production took place. We had the opportunity to fundamentally investigate problems and develop unique solutions. The perfect basis for creating a completely new speaker as a spin-off. 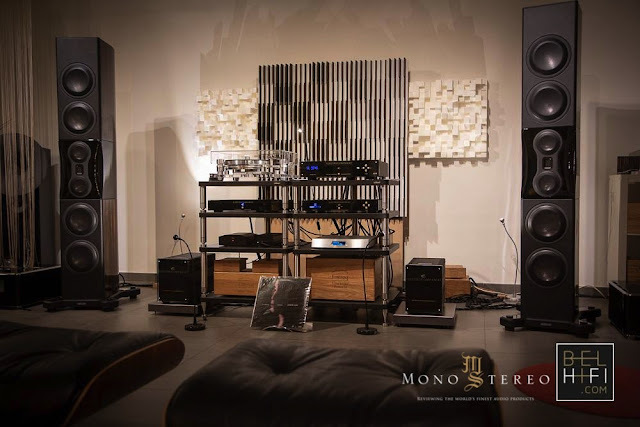 Big listening room = big speakers = big sound? Well, unfortunately not with most large speaker systems currently available. The acoustic influences and the large hearing distance speak clearly against the use of classical point sound sources. 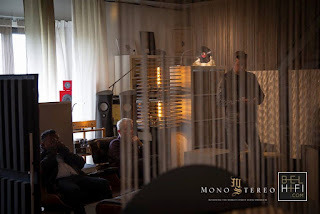 • A correct acoustic perspective of the "sound-stage"
The "Cinema LTM" is a passive filtered 3-way floor-standing speaker, with line-array technology. 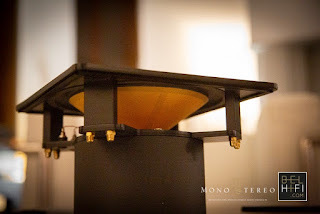 Each speaker comes with 32 ring radiator tweeters. 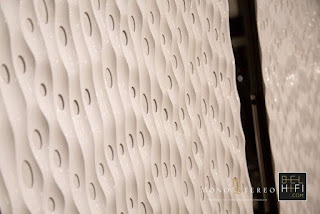 A textile membrane with a diameter of 22 mm was installed in a special, extremely compact housing with neodymium drive. This allowed us to mount the tweeters extremely close to each other, which is absolutely essential for a high-performance line array. The distance is only 0.7 mm. The fourteen high-end mid-woofers feature a 4" Kevlar diaphragm and a low-loss drive with neodymium magnets. 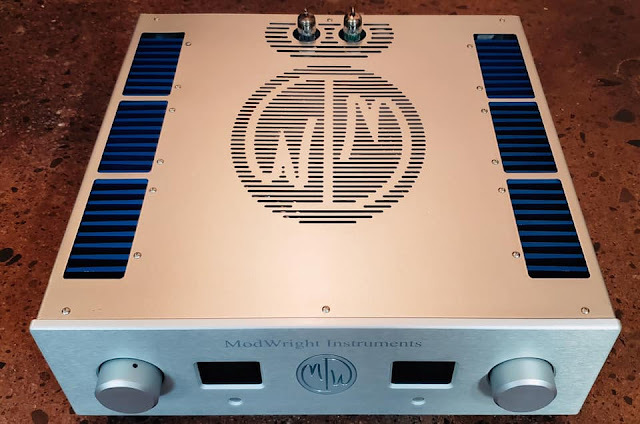 We use our proprietary high-pass filters, so they play at very low-distortion even at high SPL and down to 100 Hz. In addition, four passive 12 "subwoofers with almost 60 mm stroke are installed per loudspeaker. 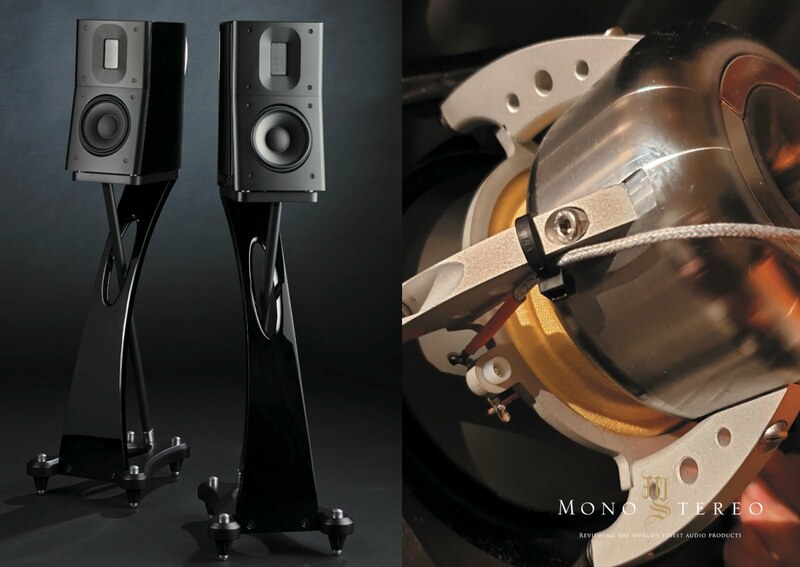 Thanks to our proprietary crossovers, the unique 4" mid-woofer and the special tweeter design, we were able to create a loudspeaker with incredible dynamic range, whose distortion values are extremely low. Incidentally, unlike similar systems, it is easily possible to use virtually any high-end amplifier. 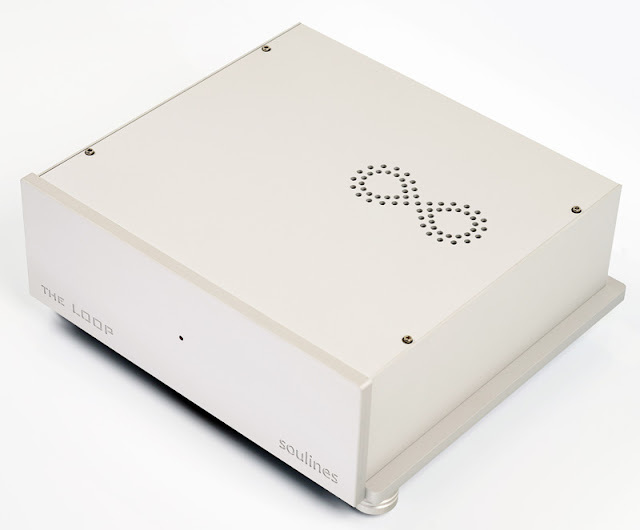 Since the speaker is quite efficient and the impedance curve extremely linear, less powerful high-end amplifiers can be used. Especially the front, the assembly of the line-sources and their housing demanded our whole experience. The first prototypes were installed in aluminum fronts. Because the very small distances between the loudspeaker chassis and the high mechanical demands, aluminum seemed to be a good choice. But the strong resonances in the material turned out to be a no-go. Now we install a 12 mm (1/2") thick polymer plate, which is pore-free - since it is cast. The main component is bauxite, together with the other ingredients results in a very low-resonance material. The speaker chassis are clamped on to the back and additionally stabilized and stiffened with milled aluminum holders. The cabinet is milled from 120 mm (4.7") hardwood. A well-known expression for this material also is "Panzerholz". 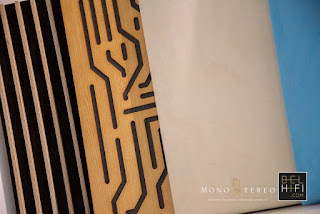 The block is pressed from a total of 93 layers of sanded beech wood. The achieved strength is enormous and the volume weight is around 800 kg per m3 (1'764 lb. per ft3. Includes brushed stainless-steel feet. Custom finishes available. 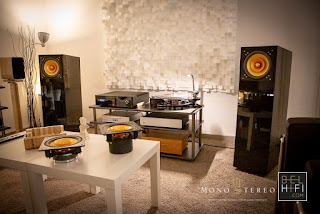 Credo Audio Switzerland is a family-owned company, based in Basel - Switzerland. 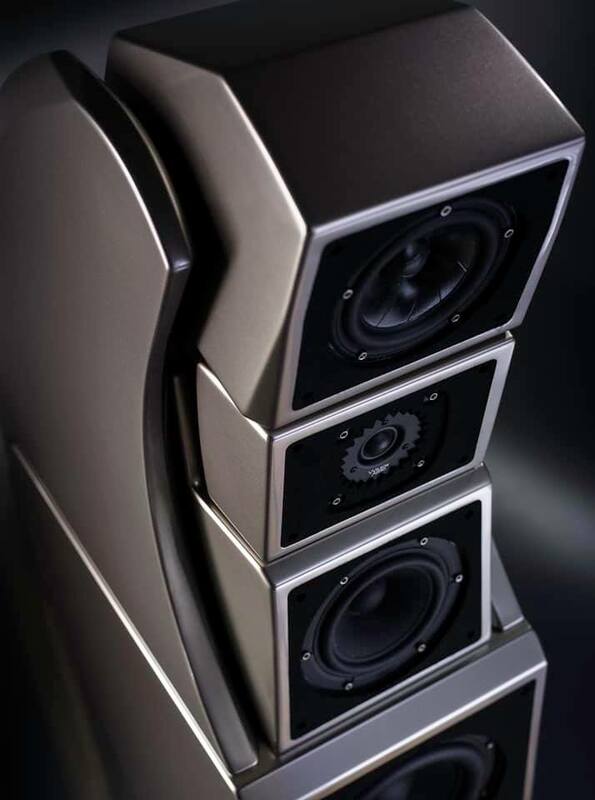 We have specialized in designing high-performance loudspeakers, which are hand-made in-house in our manufactory. The passion and love for music is what motivates us and what defines the performance-goal of our products. 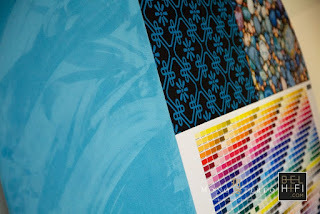 But also the joy for demanding and exclusive design. We meet the request for speakers that are subtle and modest, that will blend in perfectly into your environment. 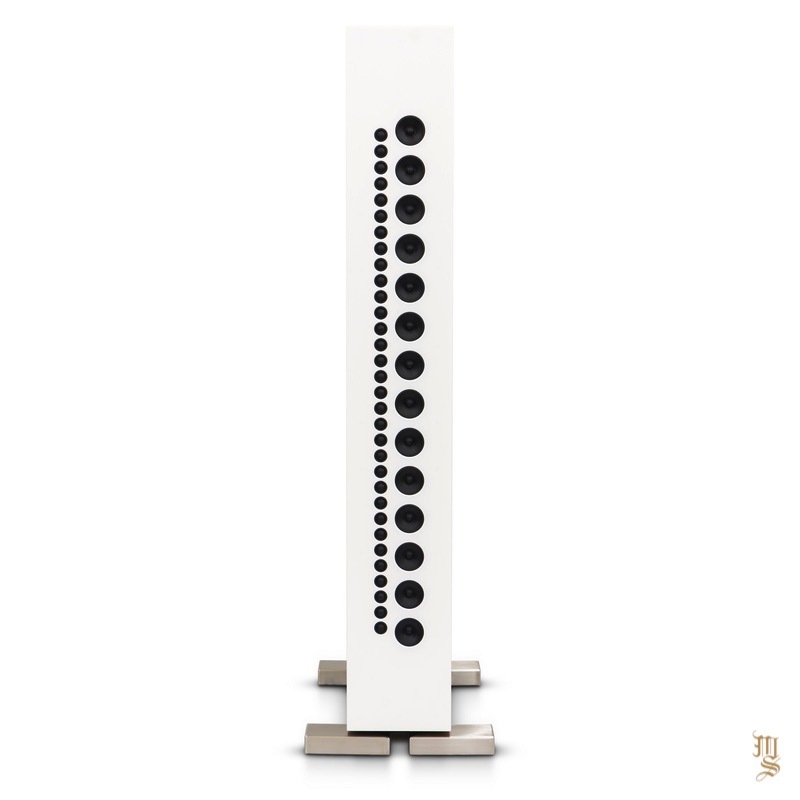 We offer modernism and simplicity in the the design of our products. 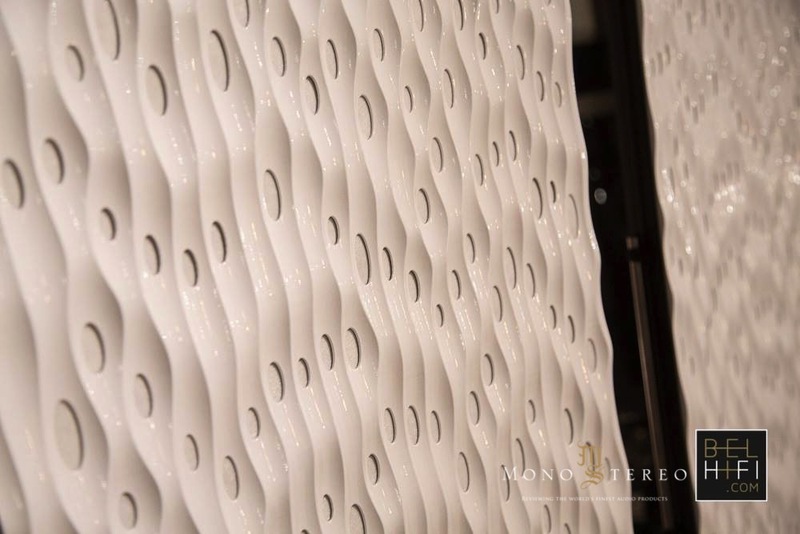 With attention to detail we select materials and define textures. 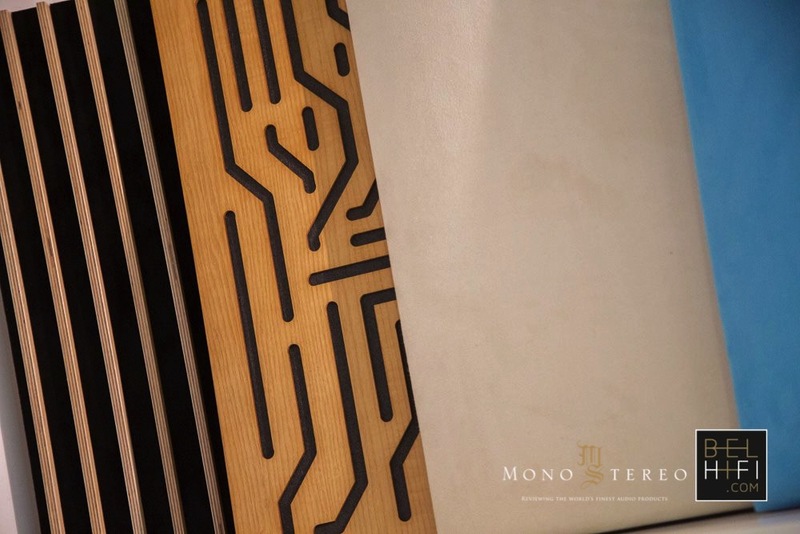 In a Credo speaker you’ll find several very unique features and designs, developed and implemented over many years. We always focused on the highest goal in speaker-design, to reproduce all kinds of music and genres, without compromise. 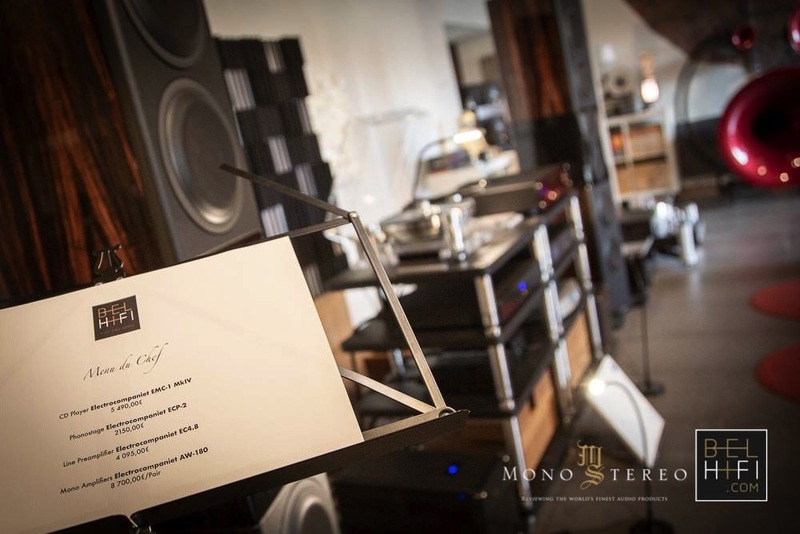 Sustainability, uncompromising sound quality and longevity play a role as well as our principle: "Less can be more". We manufacture our products. And for us that does not mean to do the final assembly of purchased parts which were produced in Far East. The manufacture of loudspeaker terminals and circuit boards for crossovers or CNC milling and engraving, and much more is done here at the manufactory. All boards are also equipped by hand. 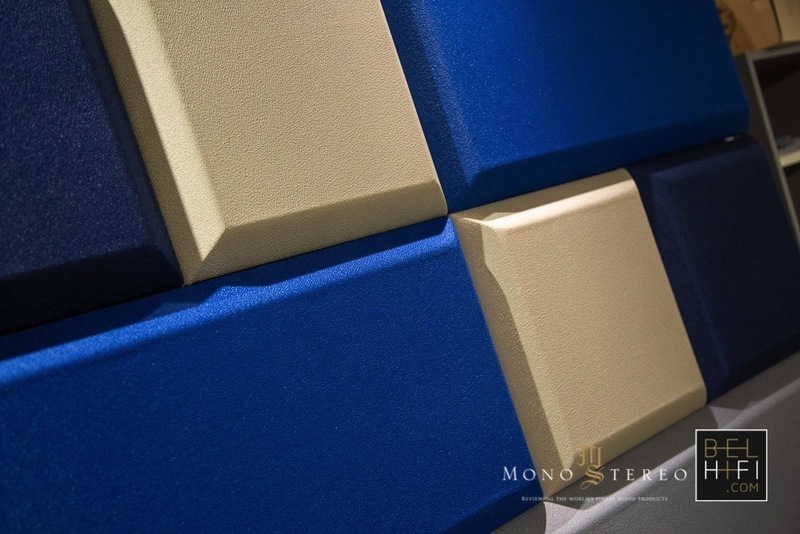 Also large parts made of MDF for speakers or aluminum for amplifiers are manufactured on our CNC milling machine. A small team is responsible for the entire process, from the design, programming, milling to the to final assembly and quality inspection. Convince yourself at a demonstration. Basically, a line of sources will create a wavefront of sound pressure that is cylindrical at particular range of wavelengths (frequencies). It's idealized shape is actually like a section of a cake, and the wavefront surface area, as it expands only in the horizontal plane, doubles in area for every doubling of distance. This equates to a 3 dB SPL loss of level for every doubling of distance. While with spherical sound propagation a loss of -6 dB SPL occurs for each doubling of the distance. 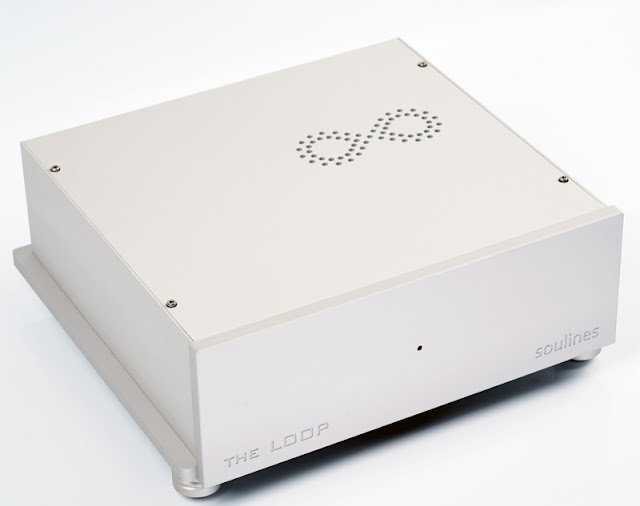 To put it simpel, the line-sound-source has a much better efficiency than the point-source with greater listening-distance. 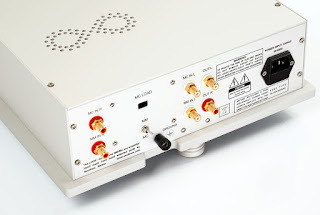 The drivers are stressed much less and you need less amplifier power. 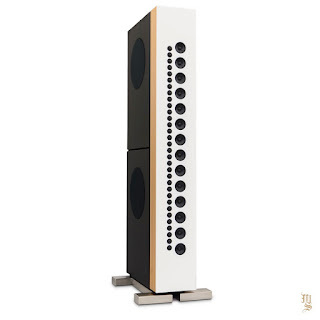 At a distance of four meters from the loudspeaker, 36 watts are required for 95 dB SPL (no headroom included). 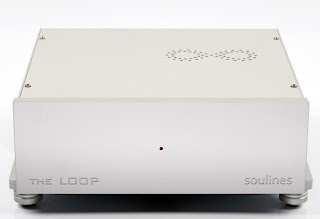 A point-source with identical efficiency at one meter distance, but requires 143 watts at four meters to reach 95 dB SPL.